Photo shows two Hino buses of different generation. Left is the older one while next to it is the 2000 version is the school bus color scheme. 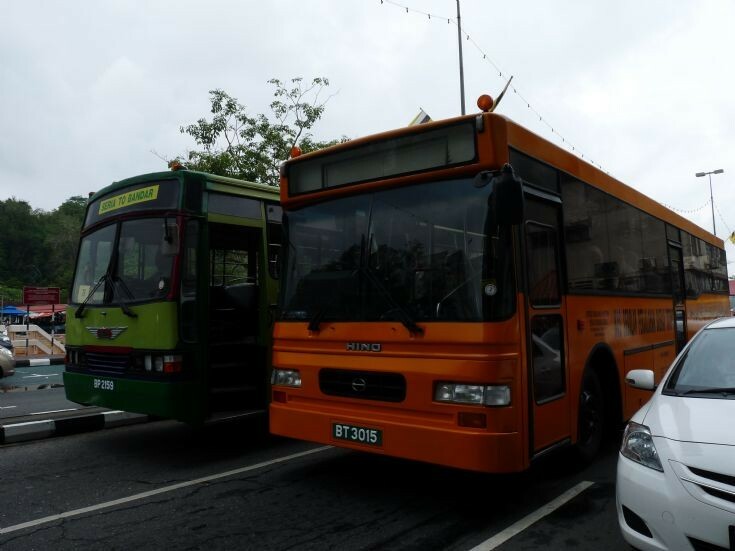 Both are seen at the bus staging area last 23 February 2010 during the Brunei Darussalam 26th National Day celebration.